Tara grew up in Scottsdale, Arizona, and played volleyball at Desert Mountain High School. As a junior, she was awarded Gatorade Player of the Year. Tara and her team also won two state titles at Desert Mountain High School. Tara played club volleyball at Club Red, where she competed as an outside hitter. At the age of 17, Tara was invited to compete with the USA Junior National Team as a libero. That year they attended the Junior World Championships in Thailand, where they finished 4th overall. From 2007-2010 Tara played Division I volleyball at the University of Nebraska, Lincoln. As a sophomore Tara was named an All-American, and her team made it to the Final Four of the NCAA Tournament that year. After college Tara continued her volleyball career internationally, playing in Switzerland, France, and most recently Puerto Rico. Tara received many accolades throughout her international career – including a MVP award in Italy, and being named to the All Star Team her first season in Puerto Rico. 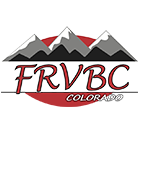 This is Tara’s second season with Front Range VBC and will return as the Head Coach of our 15-1 White team for the 2018-19 season.